What is Say’s Law? How may it fail to hold in a monetary economy? The law states and holds true where production is viewed as a source of demand. According to the law, the production efforts of an individual are rewarded relative to the work done. The attained pay is then used to require and acquire other services and goods in return. The law is attributed to a misconception among economists as they tend to imply that demand can never be a problem. According to Jean Baptist, to who the law is articulated, he argued in the 19th century that demand is always in plenty due to the supply of services and goods. However, it emerges that there are some shortcomings when it comes to selling a particular product. The difficulty arises from the shortage of demand for the product. If such a scenario occurs, there is increased demand for another good that makes the demand as a whole remain high. The law holds true in a barter trade economy. According to barter trade, a trader exchanges goods equivalent to what they require. What one wants to buy is directly proportional to what they wish to buy in such an economy. Therefore, the desire to sell equates to the desire to obtain and hence a balance is struck making shortage not achievable. 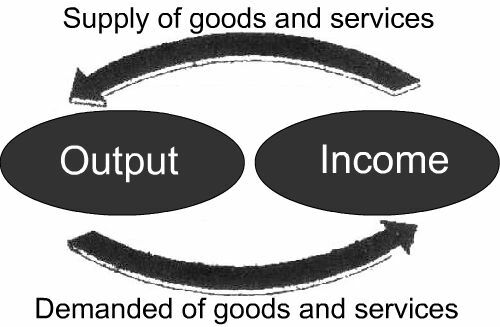 In a monetary economy, different goods and services have different values on the scale of the money. The products with the highest demand and the least supply are the ones with the highest monetary value as opposed to items with the largest supply and similar demand. Money is the constant that dictates what to buy and sell. In such an economy, demand also is a consideration when making transactions. Instant buying will not lead to immediate selling, but hoarding may occur in anticipation of increased demand in the future. If the concept of producing without prior knowledge of the demand in the market is applied, people will suffer due to lack of sales, and this will cause unemployment and collapse of the economy. What are the limitations and possible analytical problems with the theory of comparative advantage? There are potential gains for individuals, organizations and even countries that emerge from technological advancement and endowment of production factors. Therefore, comparative advantage is the resultant specialization towards the smallest opportunity cost as opposed to lowest absolute cost. Hypothetically, if this principle holds true, and the application is on a nationwide panorama, the resultant effect would be an increase in the world output based on specialization. Countries would specialize in the production of goods and services based on the resources they have in favor of the absolute cost. There are some limitations associated with the theory. The approach overstates the benefits of specialization without consideration of external trade costs such as pollution. The method is also limited as it assumes a perfectly competitive market. In the real world, mobility of factors leads to diminishing returns and increased costs of transportation. Exchange rates are not accounted for in the theory as an increase in one variable relative to another has an effect on the overall output. If the theory was implemented, there are several analytical problems that might arise. In this regard, if one country was to specialize in the production of a certain commodity, structural unemployment emerges since all workers cannot transfer and work in one industry. Comparative advantage concept is not static. The resources may run out with time. For example, if Germany were to specialize in the production of cars only, the resources of production would be depleted over a given time. The real world is complex, and the theory cannot hold true as it is derived from a two country exchange model.